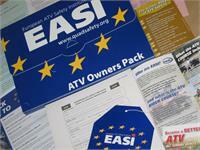 EASI provides the following information and links for the benefit of visitors to www.quadsafety.org but it is not responsible for the content of these websites. NB: Anyone buying a new or used ATV from the above manufacturers via one of their authorised UK dealers is eligible for FREE and/or highly subsidised EASI Rider training places (worth £180 plus VAT each) subject to qualifying terms, conditions and availability. HSE HM Government's Health and Safety Executive. LANTRA providing skills, education and training for UK environmental and land-based industries. ROSPA actively involved in the promotion of safety in all areas of life; also raises awareness of how to prevent road accidents. SAFEchild a registered charity dedicated to child protection providing training, CRB checks and risk assessments; EASI is a SAFEchild approved body. 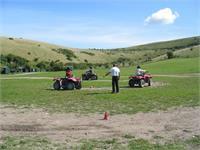 Quad Racing Association UK About quad and ATV racing in the UK. 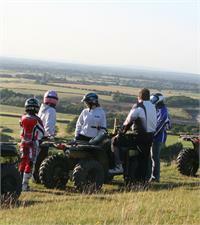 Quads UK Where to ride, on and off road reviews. QUAD Magazine A monthly magazine and online news.